Botox® is a very recognizable term, with stories about Hollywood celebrities using it to erase their wrinkles coming out almost daily. In fact, according to the American Society of Plastic Surgeons, Botox® was the #1 minimally-invasive procedure, with 6.7 million procedures being done in the most recent study. If a patients ask you how do Botox® injections work, the following is a primer that covers the latest Botox® and Botox® Cosmetic FDA-approved cosmetic and medical uses. 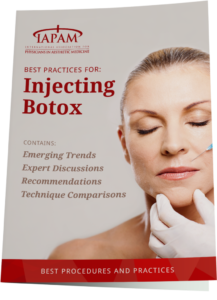 This short playbook will help you educate your patients on what results they can expect to receive from a Botox® treatment. It was originally approved by the FDA in 1989 and has since been approved for treatment of many cosmetic and medical conditions. It should also be noted that Botox® is a prescription medicine, and therefore can only be provided by a healthcare provider who can prescribe drugs, like a physician. Often physicians will delegate to other healthcare providers who are licensed to inject FDA controlled substances, like physician assistants and nurses. One thing to keep in mind is that the effects are only temporary; they disappear after 4-6 months. On the plus, side, this is a quick procedure that typically only takes 15-20 minutes, there is no recovery time needed, and as you age, you can easily adjust the location and amounts to meet your patients anti-aging goals. Botox® vs Botox® Cosmetic: What is the Difference? Treatment to temporarily improve the appearance of both moderate to severe frown lines between the brows and crow’s feet in adults. Improving the look of moderate to severe frown lines between the eyebrows (glabellar lines) in adults for a short period of time (temporary). Improving the look of moderate to severe crow’s feet lines in adults for a short period of time (temporary). BOTOX® is also injected into the skin to treat the symptoms of severe underarm sweating (severe primary axillary hyperhidrosis) when medicines used on the skin (topical) do not work well enough in people 18 years and older. Avoid using negative sounding words like: paralyze, neutralize, freeze, and of course botulism! The results for Botox® are very quick, often showing up within days. Not everyone is the same, so for some people, it can take up to 2 weeks for the results to show up. Botox Cosmetic’s® popularity will account for the majority of your aesthetic patient base, so if you want to add aesthetics to your practice, you must master the injection of Botox® (or other FDA approved Botulinum Toxins, like Xeomin® and Dysport®). If you are new to offering Botox®, please make sure you complete a comprehensive hands-on CME-approved training program. If you are an experienced injector, it is important to stay up to date with the latest Botox® injection techniques. We all use our facial muscles a lot. 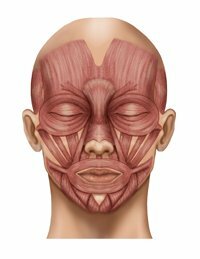 All of that talking and emoting and eating and everyday living gives the facial muscles a great workout all day long. This is great for the health of those muscles but can cause problems with your skin. For example, frown lines, the little lines that show up between your eyebrows, can result if you are someone who scrunches your face up when you are unhappy or very focused. For the “Botox® Virgin,” you will need to be prepared to explain how Botox® works on the face. It is important that you understand where the most requested areas are for injections, they are: forehead lines, crow’s feet around the nose, and those “angry 11’s” between your eyebrows. One of the most requested procedures is to remove the wrinkles in the forehead. Many times these lines are genetic and you can see them in children as well as adults (Reminder: never inject Botox Cosmetic® in anyone under 18!). Other times, they are seen in people who are very expressive with their face. It’s important to ask your patient what they want, some people don’t want any wrinkles in their forehead, others are fine with wrinkles, they just don’t want deep looking ones. You can provide any of these results by increasing or reducing the amount of the Botulinum toxin you inject in the muscles. Allergan has done a wonderful job educating the public on the “angry 11’s,” these are the lines that appear between your eyebrows. Again, these can be genetic or caused by excessive facial movements in expressive people. Not everyone has these, but most people do not want to look angry, so if they have them, they most likely want to get rid of them! This is an easy home-run procedure, which can be done quickly, and looks great! Crow’s feet (which are also called smile lines) are the small lines that occur around the eyes as a result of the skin wrinkling to accommodate smiling and squinting–they are the third most popular region of the face. You may find that men are fine with having these lines, but women generally want them gone! Again, this is a quick procedure that typically erases the wrinkles between 3-10 days. It is also important to tell your patients that cosmetic injectables only treat lines that are caused by muscle movements. Explain that lines and wrinkles caused by sun damage will not respond to these treatments. As well, some patients think the deep wrinkles around their mouths (marionette lines) and nose (nasal labial fold) can be treated with Botox®, unfortunately they cannot. One will need to use a dermal filler like Allergan’s Juvederm/Voluma, Merz’s Boletero, or Galderma’s Restylane. Many patients think Botox® is purely a cosmetic treatment, but botulinum toxins can also be an effective treatment option for those who suffer extreme sweating, migraines, muscle spasms, tremors, etc. Here are a few popular medical treatments and how to explain them to your patients. Primary Hyperhidrosis can be especially difficult to cope with when it is concentrated at the patient’s palms, feet, and armpits. Botox® can shield sweat glands as well, which effectively renders the sweat glands at those injection sites inactive (for about six months). Make sure your patient understands that he or she will still sweat from other areas of their bodies but hopefully it will only be a normal amount. First and foremost it is important that your patients understand that Botox® will not cure a migraine completely. Instead, explain that if the treatment is successful, it will reduce the symptoms of the attack like sensory sensitivity and nausea. It does this by, again, stopping the areas most affected by the migraine (forehead, temples, neck, etc.) from being able to communicate with the brain. They will still get migraines but the headaches should be much easier to manage. These are probably the easiest bodily treatments for your patient to understand. Explain to them that their tremor or spasm is simply a miscommunication or “misfire” of the brain that causes the muscle to contract without outside stimuli. Since Botox® treatments will keep those misfires from reaching the affected muscle, the condition should clear up relatively quickly. There has not been a confirmed serious case of spread of toxin effect away from the injection site when BOTOX® has been used at the recommended dose to treat chronic migraine, severe underarm sweating, blepharospasm, strabismus, or when BOTOX® Cosmetic has been used at the recommended dose to treat frown lines or crow’s feet lines. In summary, it is important to manage your patients’ expectations and to explain these treatments to them in the language with which they are the most comfortable. You learned a lot about this when you learned about bedside manner. The better your patients understand how and why a treatment is administered, the more likely they are to opt-in to the procedure. For the best results, constantly strive to improve your injection technique. Remember, the number one reason patients don’t come back is because of injection pain, so make sure the treatment is as painless as possible for them! (check out our article on Pain Management for Botox® and other Cosmetic Injectables for more tips!). What about Botox and Thinning Hair?